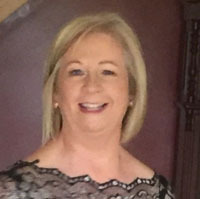 Living in Laois, Margaret has a BA in Early Childhood Studies and Practice (NUI Galway) and a Masters in Child, Family and Community Studies (DIT) and also completed the Registered Behaviour Technician programme through Queens University, Belfast. She worked for a number of years as a Special Needs Assistant in a mainstream primary school working with children with a range of disabilities. Margaret worked for four years in an ASD specific unit with pre-school children, also providing July Provision for children with ASD. Margaret held the role of lead co-ordinator on a disability project hosted by Longford / Westmeath CCC’s before taking up the position of LINC tutor with Mary Immaculate College in 2016. She also tutors part time for Longford/ Westmeath ETB delivering QQI levels 5 and 6 in Early Childhood Care and Education in Athlone Community College.